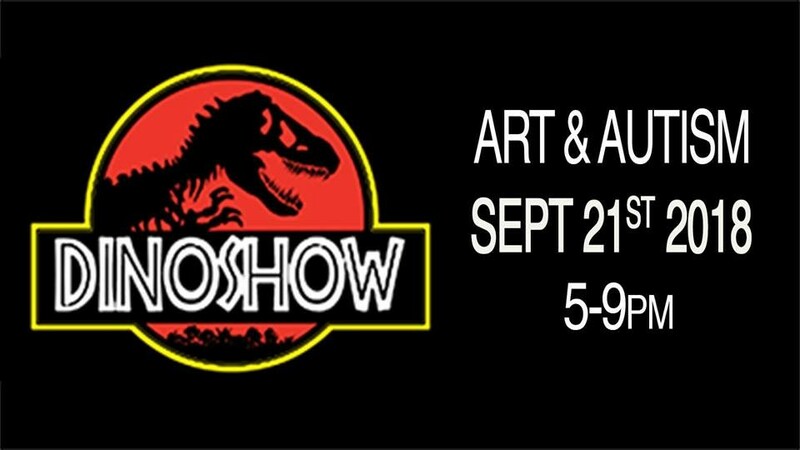 DINOSHOW: Art & Autism, a benefit that takes place on Friday, Sept. 21, at the Derek Hess Gallery, will raise money for Connecting for Kids, a nonprofit with a mission to provide education and support to families with concerns about their child. 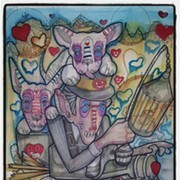 The event, which takes place from 5 to 9 p.m., will feature local artists Derek Hess, Tim (Tim Jim) Eakin, Aaron (OKPants) Sechrist, Angela Oster and others who interpreted the artwork of children with autism spectrum disorder (ASD). The show will highlight the work of ten children who were asked to draw their favorite dinosaur. Each piece was then given to a professional artist whose job was to create his or her own representation of the child’s drawing in any medium. The exhibit provides "an opportunity for children with ASD to express themselves through art" and have their work hung in a professional gallery. The event is produced in collaboration with the Child & Adolescent Research Department at University Hospitals Cleveland Medical Center, and all proceeds will be donated directly to Connecting for Kids.